Keenen Ivory Wayans is a comedian and filmmaker. The actor is the first to explore comedy in the comedy dynasty Wayans Family. The multi-talented actor did not only help in making his family become a hive of entertainers but also made it the greatest African American family in screen comedy. Keenen Ivory Desuma Wayans, Sr. was born June 8, 1958, to Howell Stouten Wayans and Elvira Alethia. His father, a devout Jehovah Witness worked as a supermarket manager. His mother worked as a homemaker and social worker. He spent his early childhood in New York where he was born. Then, his family lived in Manhattan’s Fulton housing projects. Young Keenen schooled in Seward Park High School. He also obtained an engineering scholarship to school at Tuskegee Institute in Alabama. However, he dropped out of school in his last year to focus on comedy full time. Keenen Ivory Wayans knew what he wanted early enough which is why he dropped out of school. He became active in 1979 and thankfully, Robert Townsend assisted him in early years of his career. He also broadened his knowledge of comedy business. In 1980, Keenen relocated to Los-Angeles in search of a better platform. There, he took up a regular role as a soldier on TV series titled For Love and Honour. The actor continued to do his utmost for a major breakthrough. Luckily, the tremendous fame came when he became the host and the creator of Fox Sketch comedy series In Living Color. Initially, FOX executives were slightly concerned about the content of the satire. But what was redeeming was the incredible turnout. He also hosted the talk show The Keenen Ivory Wayans Show. The star has also produced, directed and written multiple films such as Hollywood Shuffle, and I’m Gonna Get You Sucka. Some of his works have had one or more of his siblings in the cast, for instance, Scary Movie. It is worth emphasizing that till date, Keenen remains a powerful force in the entertainment sphere. 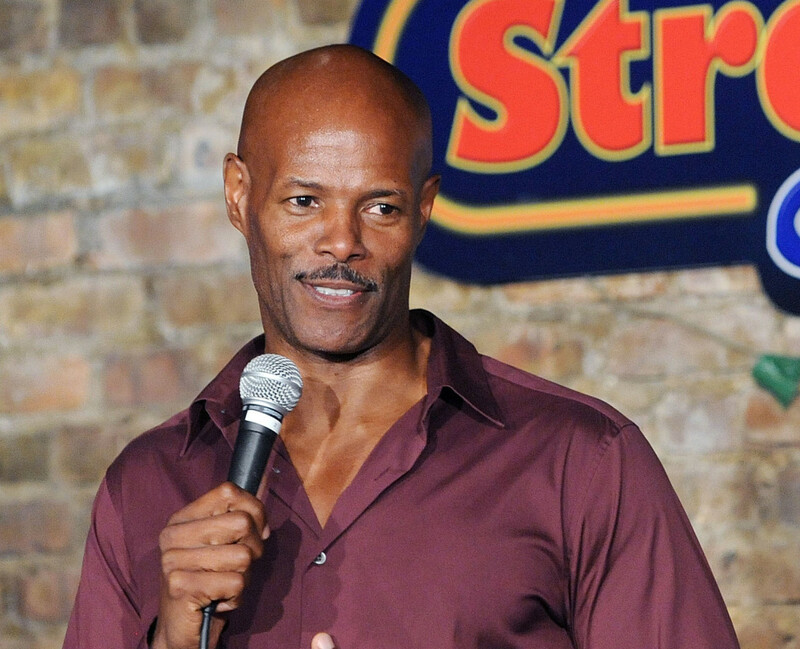 Keenen Ivory Wayans is the second of ten offsprings of his parents’ marriage. His siblings include Damon Wayans, Nadia Wayans, Elvira Wayans, Diedre Wayans, Vonnie Wayans, Kim Wayans, Marlon Wayans and Shawn Wayans. The siblings are all entertainers; actors, producers, comedians, writers and more. Amazingly, nearly all of the Wayans are a force to reckon with in the Hollywood circle. You read it right, they all rule in their different endeavors. But let us not forget that Keenen was the pioneer of the Wayans comedy empire. He paved a smooth way for not just his immediate family but also his extended family members through his satire on FOX TV. His brother, Damon, was also part of the crew that created, wrote and starred in the TV series. Damon Wayans Sr, is widely known for The Last Boy Scout and My Wife and Kids. As well, Elvira Wayans is well-known for her work in My Wife and Kids. The stunner also doubled as a writer for the show, the only screenplay to her credit. Kim Wayans had a role in Pariah. She also contributed in the family satire In Living Colour, Dance Flick and My Wife and Kids. Shawn Wayans won hearts for his wonderful performance in Scary Movie and White Chicks. Marlon Wayans, the youngest of the first generations of Wayanses unleashed his magic in Requiem For A Dream. In similar fashion, he played in White Chicks and Dance Flick. Lately, Marlon was considered among the cast of two recent American comedy films Naked and 50 Shades of Black. Keenen married Daphne Wayans in 2001. But his union to the star of VH1’s Hollywood Exes crashed. They eventually had the marriage dissolved in 2004. The marriage did create more Wayans descendants, five of them to be exact, four daughters and a son. The products of the marriage include Bella, Jolie, Nala, Daphne and Keenen Jr. Since his separation from his wife, there have been speculations tying the actor to other women. Brittany Daniel, the star of Sweet Valley High television series was also roped in the rumor. But it appears his relationship with the cancer survivor allegedly ruptured at some point. Well, considering all the years of dramatic affairs, Keenen seems to be really single at the moment. Perhaps, it won’t be for long. Although many of us would have seen Keenen’s decision to abandon school as worthless, the big move obviously paid off. For his accomplishments, he has no reason to blame himself for making such bold move. The actor has a net worth that is estimated to be in the region of $65 million. Clearly, he placed value on what people would have regarded worthless. If you are all about height, then Keenen Ivory Wayans is your kind of man. The actor doesn’t just have a very big personality but also a good height. He is among the tallest comedians rocking at 1.91 m or 6ft 3in.